We are looking for quality properties and sponsors: owner-user, investor sponsors, or corporate entities that need a mortgage solution for acquisition, rate and term commercial refinance, or cash out. 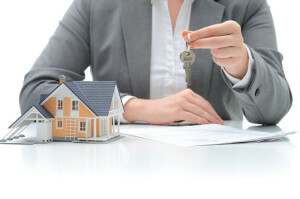 Competitive mortgage rates and fast closings are available for most commercial & multifamily properties, such as Retail Centers, Office, Mixed Use, Self Storage Facilities, Light Industrial, Warehouse, Mobile Home Parks, and Multifamily, Apartment, Senior Living Facilities, Owner Occupied Restaurants, Liquor Stores, & well-located, low-leverage Land Loans. Call or message us today for a complete list of property types. We look for real cash and or equity into the deal. NO “100% financing” will be offered today. We value your time and business. Quick and honest answers are what our clients have learned to expect from Direct Money Lenders. Simply begin by taking a few minutes to view our comprehensive website. From there, please begin your loan approval by using our brief, online application at the top of this page, or call us to discuss your unique situation. Generally, we’ll tell you immediately if we think we can help or provide you with the reason(s) for not proceeding with the loan request. In the likely event that we can help, you will then be assigned a dedicated representative and asked to gather additional details on both the property and the sponsor. Best efforts will be given to provide written responses within 48 hours of receiving all of the requested items. Once approved, a detailed Loan Terms (that clearly outlines the interest rate, mortgage term, loan costs, and the anticipated date of closing), will be issued. Throughout the loan process, your Direct Money Lenders representative will work closely with you to keep you informed and be available to answer any questions. The end result is that you get the service you want, the funding you need, when you need it….Solutions….Not excuses! Most Commercial and Multifamily Property Types will be Considered for Hard Money! Hard Money Loan – General Guidelines. of eligible hard money loan offered. Would you lend money to someone facing immediate bankruptcy? How about someone in foreclosure? Or perhaps someone was looking to purchase a run-down commercial building whose value can’t be accurately determined by a standard appraisal. For hard money lenders, this is what they do. This is what they look for and usually see opportunity where others see only doom and gloom. Deep pocketed individuals, hedge funds, and small, local companies operate where your typical bank lenders fear to go; often times giving loans to distressed properties or individuals, or both. Hard money lenders are a bit harder to find than your neighborhood bank, but they can be found. Just look on your favorite search engine for “direct money lenders.” Asking a mortgage company or someone who has dealt with hard money lenders before may be another option. Make no mistake about it, a commercial bridge loan financing doesn’t come without high cost, but they can help make a bad situation better and may be your only choice to save your property from foreclosure or prevent you from filing bankruptcy. A hard money lender is a person or company with low credit restrictions, but exchange the risk with high interest rates – 8 to 25 percent, at least: the higher the risk, the higher the rate. In addition to high interest, you can expect to pay an additional 2 to 10 closing points. Direct Money Lenders rarely charges these high fees. Typically, loans with this credit risk are capped between 60 to 75 percent of the value of your property. Hard money lenders are private lenders who either lend you their own money or get it from private equity groups, hedge funds, mortgage pools, or deep pocketed individuals. Common sense underwriting techniques are present and, naturally, higher risk means higher rates for you. Bridge loan financing lenders are not for everyone, however, if you are able to outrun the clock on high interest and you have a believable exit strategy, this loan may be the best option for you.